William the Dog Trainer: Why I never recommend retractable leashes. Actual injury caused by a recent accident caused by a retractable leash. accidental amputations of fingers by these leashes. This post may be somewhat less than palatable for some of my friends in the Pet Supply business. However, I think it prudent to explain why I have such a distaste for these popular retractable leash devices. So, to my friends at Petco, PetSmart, and even some of you smaller retailers, please understand that my opinions here are based solely upon my observations and experiences as a Dog Trainer. Furthermore, it is my hope that you will consider the points that I make the next time you have an opportunity to recommend a leash for a customer in your fine establishments! Remember, I have no malice against you personally nor professionally, I just see some very real safety hazards for your customers and their dogs from the retractable leash products that are sold in your establishments. 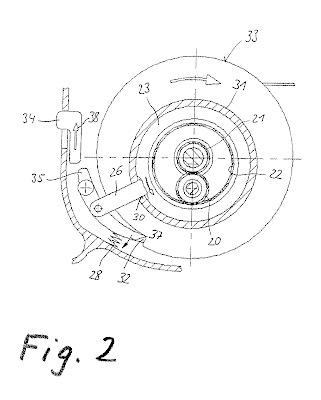 The drawing shown here is from the US Patent office. It is for US Patent US7896281 B2. I think this a pretty good representation of basically how most of the modern retractable leashes work. Take a look at the google patent link for more details. I have heard people say that these leashes are similar in design to fishing reels. 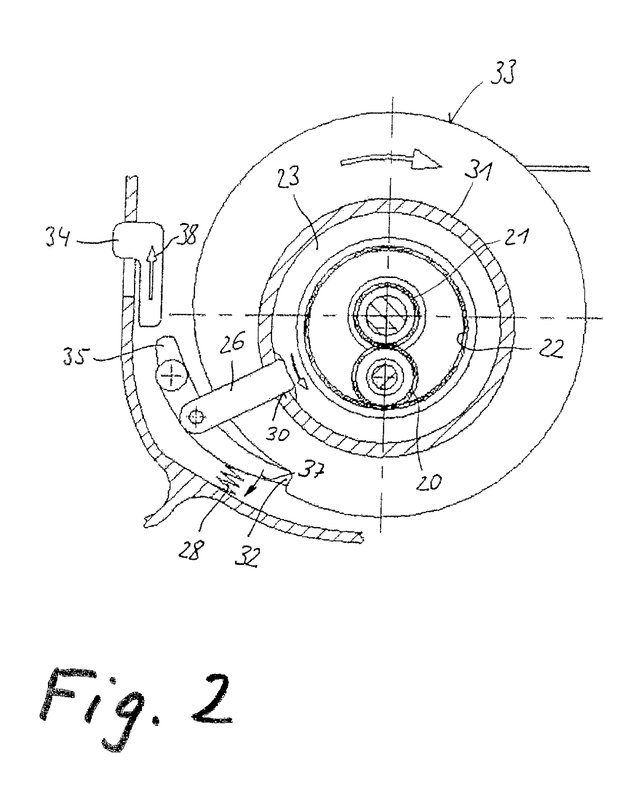 When looking at the patent , it reminds me more of the recoil assembly on a lawn mower rope start assembly. You know when you pull the string to start the mower and let go, the recoil mechanism pulls the rope back. That recoil action is very similar to the way the patent indicates that these leashes work. The only remarkable difference that occurs to me is that the retractable leashes implement a braking mechanism to stop the retracting action. In other words there is a lock button that you can press to stop the recoil or retract action of the leash. Okay, it sounds like a good idea. You can have a 20 or 30 ft. long leash in a small package and retract it when you want. On your walk, the dog is 30ft away, you lock the leash and let him roam then when he comes closer you retract it ,to make the leash shorter, then you go home. What a concept, huh? Well, in my experience there are multiple potentially extremely dangerous problems here. These cord on these leashes is usually mostly really thin line. If there is more than one dog in a close area, this is a potential disaster because the leashes very easily become entangled. This presents a risk of tripping and falling to the people and risk of extremely severe injury to the dogs. The potential for injury is due to the line being so thin and strong. It cuts very efficiently. Because this line cuts so efficiently, it is also a major risk for causing severe injury to people. There is a braking mechanism on these devices and you are suppose to use it to stop the recoil. However if the dog is suddenly alarmed a moves very quickly, usually a natural reaction is to grab the line and pull. This causes a lot of burns and cuts. It is very easy to accidentally get the small line wrapped around your fingers or other body parts causing sever injuries. 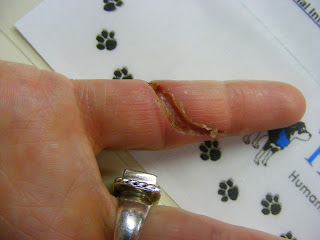 If the dog suddenly pulls while the line is around your finger you could get an injury like the one in the picture at the top of this blog. You could also get a finger cut off. It has happened before! Because theses leashes are so long people are often tempted to give the dog more leash than they should and can not control the dog well enough when an aggressive dog approaches. Not to mention that dogs simply should not walk in public places on that long of a leash. It is dangerous to you and your dog! These leashes are much more difficult to handle (in my experience). There is no loop to put your wrist through. 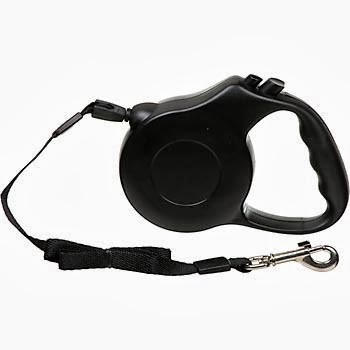 So if you are carrying anything or if you are mildly distracted, it is extremely easy to drop one of these things.The plastic case is heavy and big .Sometimes the leash is not locked and retracts upon being dropped. This can rattle the nerves of even a polite and well trained dog! Why, then are these dangerous devices so popular? Well, I think it may be because they are perceived as convenient. And, I suppose there is a certain convenience if you want the dog to have a very long leash. But, that is not really the proper way to walk a dog (in my opinion). The dog should always be close beside you. If he has to relieve himself give him a little bit of leash but I really see no benefit to the dog being 30ft away from me on a leash walk. There are some training situation in which I use a very long (30 or 40 feet) rope or leash to teach recall. But I never use a retractable for this purpose. And sometimes people who have tracking dogs will use a long lead to let the dog follow the trail but never a retractable. I think the real reason the Pet Stores and Retail Outlets sell these things it that there is a great deal of profit to be made. I have absolutely nothing against profit. I like to make profit myself! But, these are truly dangerous devices. Just to make my point a little more strongly, I submit the following for your consideration. Petco carries Flexi retractable leashes. Unfortunately, when I worked there, these were big selling items. Flexi is the same organization that applied for the Patent that I referenced above. Take a look at there very lengthy retractable leash warnings on their own website. Even the people who make these things acknowledge that they are dangerous. One of the things that they mention is: "Do not use this leash with a disobedient or uncontrollable dog, since they are more likely to wrap the cord/tape/belt around people or to run off at high speeds." Let me tell you from my experience, almost any dog has the potential to "run off at high speeds" under the proper circumstances. For instance: Copper Whopper, my demo Beagle, is a very polite and well behaved dog. He is great on leash. I use him frequently to demonstrate proper loose leash walking technique. However, sometimes his instinct briefly takes over and he will chase after a chipmunk, bear, etc. (well maybe not a bear :) ). My point is that there is no way to predict when this may occur. I can get him under control easily but he does have the potential to bolt off. This could be very dangerous with a retractable leash. My advice is use a 6 foot (maximum) fabric or leather leash. This is what people in the business call a "flat leash" (just to be cool). You can even use a chain leash. I do not really like the chain leashes because they are heavy and harder for me to manage but they are many orders of magnitude safer than a retractable leash! If you need assistance helping your dog to walk properly on leash, please contact me at anytime! Copper and I will be happy to show you the proper technique!